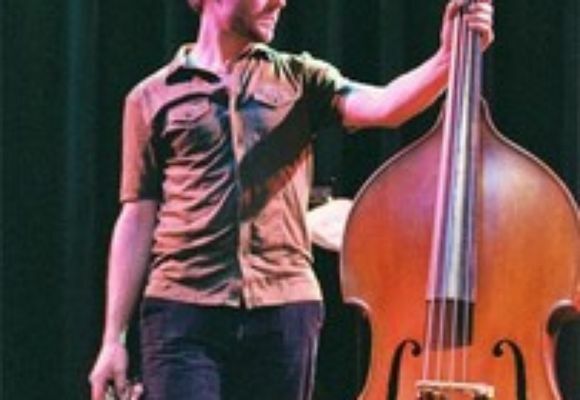 Reid Anderson is a bassist and composer originally from Minnesota. Anderson is best known for his work in The Bad Plus with pianist Ethan Iverson and drummer Dave King. In 1998, Anderson and his trio (consisting of Iverson, Jorge Rossy, and Mark Turner) released the album Dirty Show Tunes to widespread critical and popular acclaim from the jazz community. A second album, Abolish Bad Architecture, was released a year later with Jeff Ballard replacing Rossy on drums. This album generated even more attention, and Ballard and Turner would eventually continue to create Fly, their own successful trio alongside The Bad Plus. The musicians of The Bad Plus have played together since 1989; however, in 2003 Columbia Records released their major label debut These Are the Vistas, and the band has been gaining momentum ever since.